Jo Ma Be is from Thailand. Back in 2014, she told KERA she was excited and happy about the first day of school and that she's looking forward to reading. Vickery Meadow residents often walk along busy and dangerous roads. The Five Points is one of the most active intersections in the neighborhood. Stroll through Vickery Meadow and whiffs of Ethiopian food float through an open patio door. On steamy summer days, women under bright umbrellas sell esquites, Mexican street corn. Wander past an aging apartment complex, and you might just catch snippets of songs in Arabic, Spanish, Somali or any of the 30 or so languages spoken in the neighborhood. “Within a couple minutes of walking around the neighborhood and talking to the people, you get to meet the world,” said Sina Sabet, a teaching assistant, whose family fled Iran 10 years ago. Across the country, there are neighborhoods that serve as starting points for refugees and new immigrants. In Dallas, that’s Vickery Meadow. Since the 1980s, it’s grown as an affordable haven for newcomers out of the spotlight – and then a man who was visiting the neighborhood was diagnosed with Ebola. He died, and Vickery Meadow dominated world headlines for weeks. Still, Vickery Meadow is in a prime location. For the past several years, plans have been underway to develop the area. 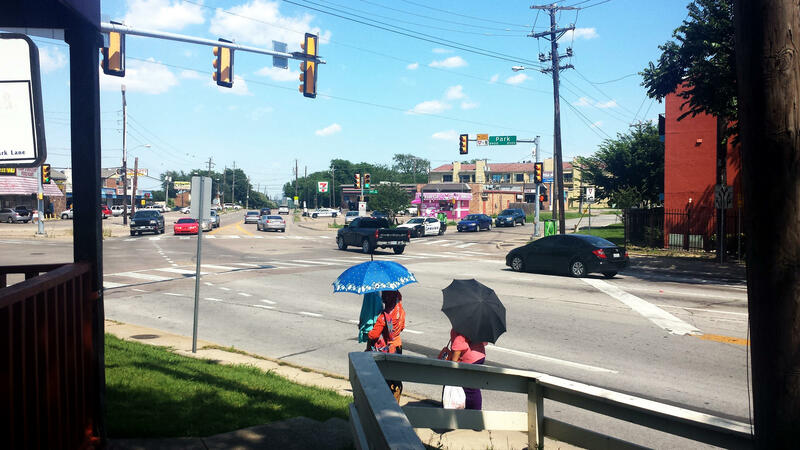 Gentrification in a vulnerable community means there are competing priorities, and many wonder whether development in Vickery Meadow can exist side by side with some of Dallas’ neediest. “You feel how these people, even though they may not look like you or they may not speak the same language, the same amounts of money or same level of education, you’ll see the warmth of their hearts,” Sabet said. Then there’s Nesreen Obaid, who left Iraq for a better life in Texas. Vickery Meadow has been home to refugees and new immigrants from around the world for decades – places like Cambodia, Bhutan, Burma, Democratic Republic of Congo, Bosnia and many more. But this diverse and dense Dallas enclave is on the cusp of major change. More and more “big box” and higher-end development are sprouting up around the neighborhood’s perimeter, and residents fear that the heart of Vickery Meadow will be transformed. 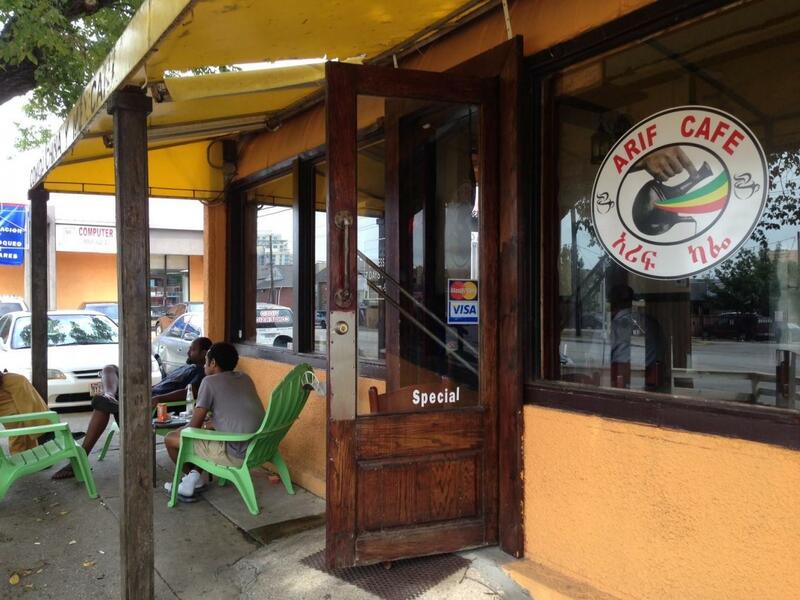 Arif Cafe in the Five Points area of Vickery Meadow is a popular restaurant for many African immigrants in the neighborhood. The cafe serves Ethiopian food. “Right now, Dallas is having an unprecedented high-end development cycle,” said Ted Palles, who is the president of Pallas Realty Advisors. His company owns 11 low-cost apartment complexes and condominiums in Vickery Meadow. They’re each branded by the “at Midtown” signature. Palles offers one-to-three bedroom units for about $500-$1,200 a month, but he does believe in respecting the market. Ricky Cole of Garland talks to Zelalem Derese and Tajebe Gebrewild, both originally from Ethiopia. In Vickery Meadow, advocates for refugees and immigrants worry gentrification will price them out of the neighborhood. Dallas City Council member Jennifer Staubach Gates represents Vickery Meadow. She said it’s a balancing act. “You have to allow the market to develop. I can’t go in there and say, ‘this population shouldn’t be charged this amount.’ We have to work with all the stakeholders involved. Unfortunately, there’s just not an easy answer,” Gates said. But she said she’s invested in making the area thrive. “I think Vickery Meadow could be the place where we see ethnic diversity, economic diversity all living together, and [we can] make it a cool place to live if we do it right,” she says. Vickery Meadow is east of North Central Expressway, not far from NorthPark Center and some of the ritzier homes in Dallas. The annual median income here is about $22,000, and residents generally work several jobs. Just a mile away, separated by a park, is Lake Highlands, where the median income is $140,000. In the '70s, Vickery Meadow was a hip, young singles community. However, by the late '80s, an amendment to the Fair Housing Act prohibited apartments from discriminating against families and children. That, coupled with a recession in the rental market, precipitated an exodus. Rents dropped, crime spiked and the neighborhood went into steep decline. Refugees and new immigrants moved in. Now large extended families are crammed into old, dilapidated apartments and they walk along busy and dangerous roads. Efforts to change Vickery Meadow started in the early '90s when a Public Improvement District first formed. Property owners pay extra taxes, which the district uses to improve the neighborhood. Barry Annino is the executive director of Vickery Meadow’s district. He’s working to capitalize on the diversity. “You’re going to feel an energy; you’re going to see different signs and different lights and different kinds of breads; and you’re going to have different smells,” he said. Annino, who grew up in Brooklyn, often invokes the image of New York’s Chinatown or Little Italy as a vision for Vickery Meadow. Annino led efforts to turn around Deep Ellum and University Crossing, which includes Mockingbird Station and Greenville Avenue. So far, in Vickery Meadow, he’s cleared abandoned shopping carts from the sidewalks as well as rebranded the neighborhood. He now calls it simply “Vickery,” to harken back to the days when it was an actual Texas town and a swinging singles community. Annino wants to make the area more walkable – he envisions sidewalk cafes, bike trails and more retail. He also wants better lighting, clearer signage and to crack down on derelict landlords. Barry Annino is the executive director of the Vickery Meadow Public Improvement District. He wants to highlight the diversity in the neighborhood. Carol Zou runs trans.lation, a local art collective that’s become a sort of community center that offers art and dance classes for Vickery Meadow’s residents. Zou has a warning for developers. The “sounds and smells” are one thing; it’s quite another to build the services refugees and immigrants need, she says. 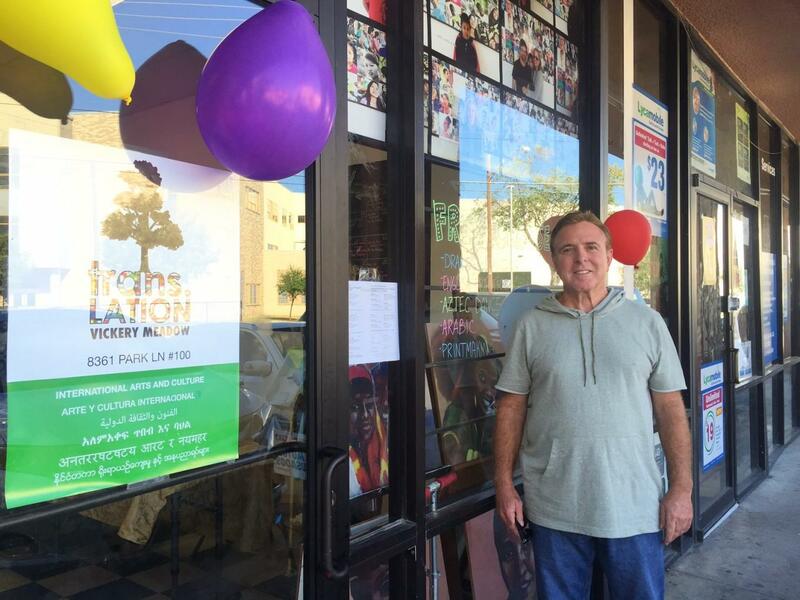 Trans.lation is a local art and cultural center that offers art and dance classes to Vickery Meadow residents. “I think people are responding to an abstract image in their head of what diversity is. And often they’re responding to the ways in which they can kind of consume and spectate these cultures without really understanding what it takes to support this diverse neighborhood,” Zou said. Zou said residents need English-language classes, job readiness programs and access to mental health care. They need the library that was in the works in 2006, but to this day, still remains an empty patch of grass. The nonprofits say they need more support. Above all, advocates say the residents need affordable and livable housing. “Some of the apartments in that area actually need to be pulled down because they are so old and beat up. 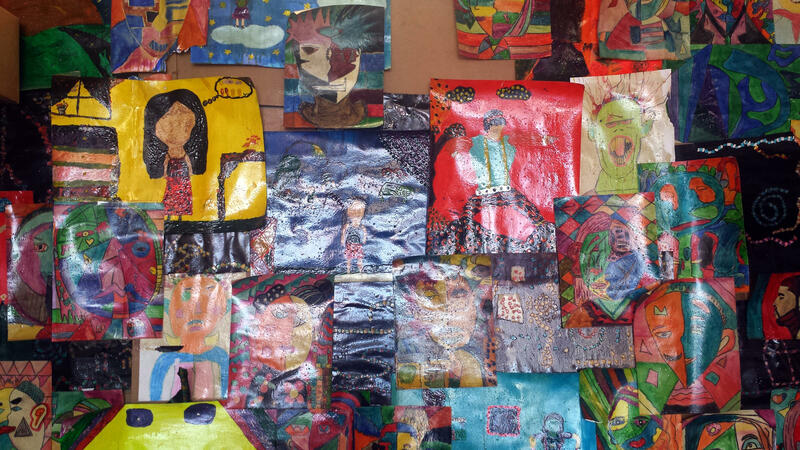 Sometimes, the walls themselves are just rotting,” said Martha Stowe, who is the executive director of the Vickery Meadow Youth Development Foundation. 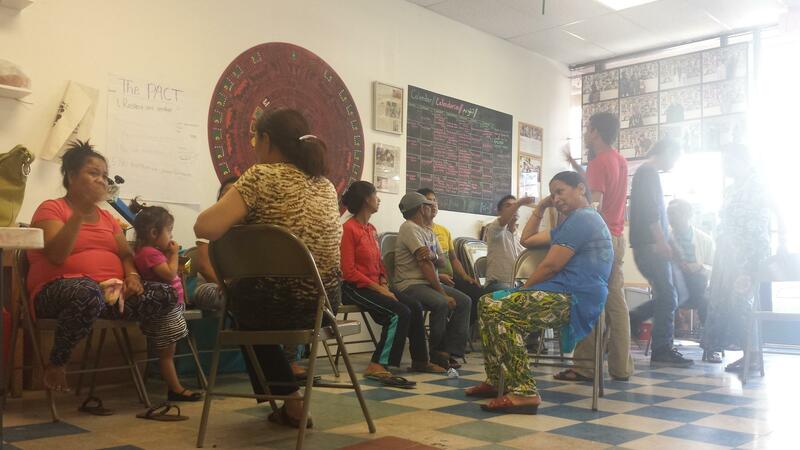 A sign language class at trans.lation in Vickery Meadow. “But if we get rid of the apartments, then something more expensive will be built. So we need something that’s going to bring housing in that’s nice housing but affordable for the people who don’t yet have a high paying job,” Stowe said. High-end “big box” developments rise to the west – like the Shops at Park Lane, which includes Whole Foods. Then there’s JCPenney and Sam's Club along Northwest Highway. Those shops are largely out of reach for residents struggling to get by, and many say they've only fueled rent increases. A spot check of several apartments in the neighborhood shows the lowest rent for a two-bedroom unit hovers around $550. Apartments.com shows the more typical price range in the area to be closer to $1,000. Meanwhile, rents across Dallas are up – about 6 percent over 2015 – and prospects of keeping Vickery Meadow affordable in a booming real estate market are seeming less possible. Everyone agrees that making Vickery Meadow safer and cleaner is a good thing. Annino, who runs the Improvement District, said there’s a price for that. “Property values will be higher because we’re going to upgrade that lifestyle. A little bit more money is a whole lot better for those trying to live there because the quality of life will be better for them,” Annino said. Kathy Doyle Thomas said she understands the struggle to find balance in planning for the future of the neighborhood. She’s the chief strategy officer at Half Price Books, whose flagship store is in Vickery Meadow. The company is building its own development next door focused on small, locally owned businesses. "I’m sure the different developers paid a lot of money for the land, and so they’re going to want to put nicer developments in its place," she said. "We try to work with the community, and I know the developers that we’ve talked to really want to work with the community as well. So it’s not all or nothing. I think there’s got to be a compromise among both people." Neighborhood advocates believe Vickery Meadow can be nice and stay cheap. On top of supporting social services, the Texas Tenants Union suggests the city provide tax credits to landlords for affordable housing. It also says to include renters, not just property owners, in conversations about the neighborhood’s future. Community advocates say renters aren’t invited to improvement district meetings, which means they don’t get a say in what happens to their neighborhood. “There’s tons of research that talks about how to embrace a community like ours. I think that often times the people at the table are people that just really lack vision,” said Lenita Dunlap, the executive director of Heart House, a nonprofit that supports refugee kids in Vickery Meadow. Dunlap said she hears talk about whether refugees are even welcome in Dallas anymore, and it breaks her heart. “[They’re] waiting for a chance to live in a place where they think is going to be an opportunity. So when I see people treat these people like they don’t matter, it pisses me off because at the end of the day, they want the same thing you want for your family: good schools, access to jobs, they want to work,” Dunlap said. For some, it may be too late – residents like Ana. She’s from Mexico City and has asked not to use her last name because she’s in the country illegally. Ana works as a housekeeper by day and at a restaurant by night. She was evicted from her apartment because of policy changes and has to pay more for a place that’s willing to rent to immigrants who are in the country illegally. She said in Spanish, and in between tears, that she feels little hope to improve her life. She senses racism, and said she feels powerless to stand up for herself in her own neighborhood. She’ll probably move back to Mexico. 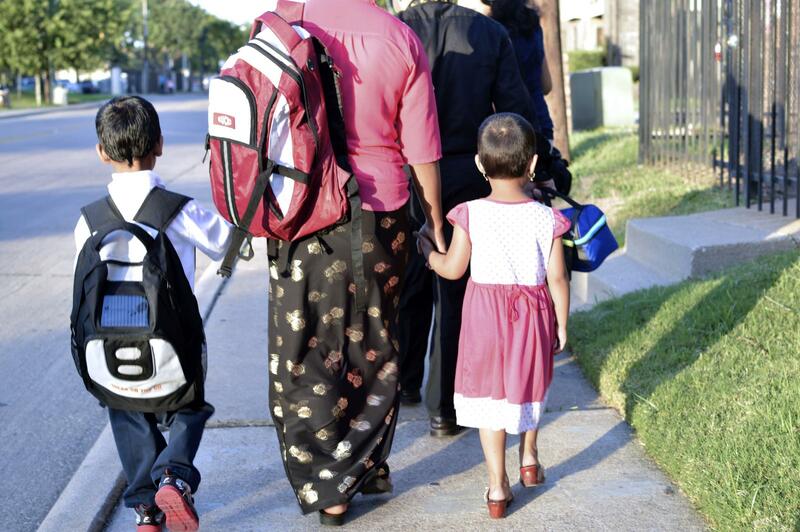 Tee Da Mo walks with her daughter and two sons to school in Vickery Meadow. They arrived from Burma as refugees. Ana’s story is different from Sina Sabet and Nesreen Obaid, who want developers and the rest of Dallas to love Vickery Meadow the way they do. “This is place is really good the way it is. But if they want to help the people, they should come and see the people, and meet the people here and talk to them,” Obaid said. Sabet said he’s already seen development drive people away. That’s the challenge in the neighborhood: Balancing the realities inside Vickery Meadow with the pressures from outside. Many say they worry that the changes designed to showcase the diversity in the neighborhood could be the very things that edge it out. Correction: An earlier version of this story said that Sina Sabet's family fled Iraq. The family fled Iran. The Texas Association of Realtors reports home values in North Texas are up nearly 9 percent over this time last year. Though the economy is booming, Rev. Gerald Britt of CitySquare says that growth is leaving out folks who are barely making ends meet.